Oktoberfest is every beer lover’s heaven! It is the biggest beer event of the world that begins at the end of September and runs through the first week of October. 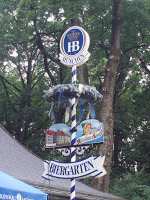 It takes place in Munich, where tents are set up in the middle of the city, beer floats and men and women wear traditional Bavarian clothes. What’s better than trying out different types of beer is the food that is found in this region of Germany. Roasted Pork,Wurstsalat, and Weisswurst is the traditional sausage. And of course, there is Schnitzel. Tents usually play traditional folk music and there are carousels and other attractions for those that do not feel like drinking. 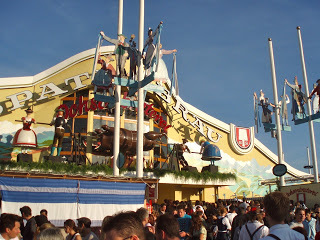 As Oktoberfest attracts over 6 million visitors from all over Europe and the world, it gets busy quickly. Some tents sell out months in advance! Therefore, it is recommended to get there early as by mid-days all the tents are filled up and only drunk people are found! Some people go as early as 7am to get a place under the tent especially during the weekend. For those that are not beer drinkers, there are other alcoholic and non alcoholic beverages but the crowds could be overwhelming for some. However, Munich is a diverse and beautiful city which offers many attractions. There is the Marienplatz – the main square with great restaurants. For those that like gardens there is the English Gardens which is the biggest park of the city. 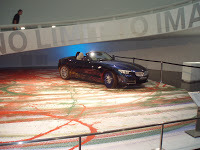 For car lovers, the BMW museum ( even if it is a bit self promoting) may be of interest. As for art lovers, there are many museums to be found, my favourite was Pinakothek. There is also the palace and shopping right in the old city centre.